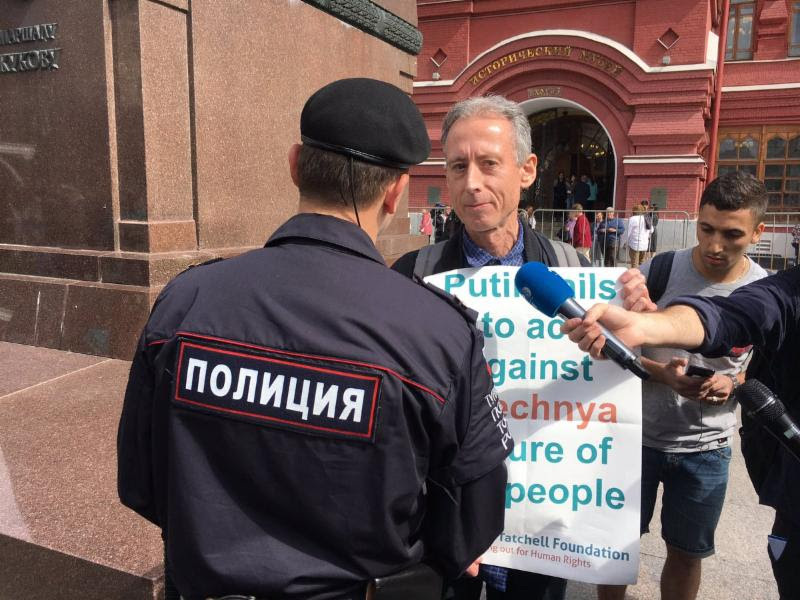 Human rights campaigner Peter Tatchell has been arrested during a one-man protest against Russia’s mistreatment of LGBT+ people, as the 2018 FIFA World Cup kicks off in Moscow. Mr Tatchell was holding a banner supporting gay men who have been violently targeted in a purge in Chechnya while standing next to the statue Marshal Zhukov close to the Kremlin. “I was exercising my lawful right to protest, under the Russian constitution, which guarantees freedom of expression and the right to protest in Articles 29 and 31. 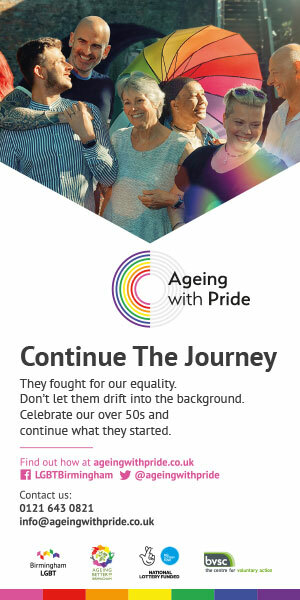 A one-person protest, which is what I did, requires no permission from the authorities and the police”, Tatchell said in a press release this afternoon. “President Putin has failed to condemn and act against the homophobic witch-hunts in Chechnya, which have seen scores of LGBT+ people arrested and tortured, with some even being killed. The singer Zelim Bakaev disappeared in Chechnya in August 2017 and has never been seen since.